Happy Teacup Thursday! This is my 79th week of sharing a special cup and saucer on Miss Spenser's Teacup Thursday. Halloween is over and Thanksgiving will soon be here. I'll be setting up all my Thanksgiving decorations today later today. 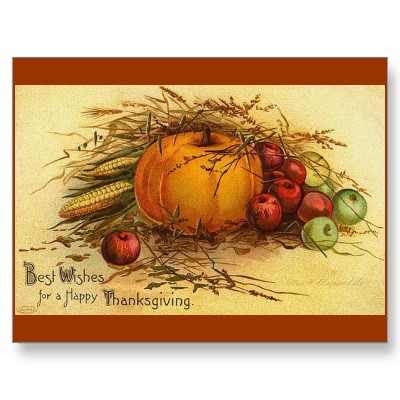 I love all the fall harvest colors and lots of turkeys! My teacup today is another Johnson Brothers pattern~ AUTUMN'S DELIGHT. It has such a rich blend of harvest fruits with nice brown tones. Of course, you know I adore Johnson Brothers. Chris and Angie invite us over to Chris' house for Halloween tonight. Chris had hot apple cider, yummy meatballs and salami and cheese and crackers waiting for us. It was so fun for us to share Halloween with Ava. This was really her first time to go Trick or Treating, so it was fun to watch her and her daddy. Here's Ava as her daddy transforms her into the cutest kitty on the block! All set to go out for some fun. Ava learning how to do the whole Trick or Treat thing and remembering to say thank you after the candy treats. She was so cute and her daddy was having just as much fun.We left Jimmy at the house to hand out candy. Ava wanted me to walk with them. I haven't done that for years! Chris' neighborhood was just filled with kids. We never get any kids in our neighborhood anymore. Lots of people decorate their homes with lights and decorations as well as the old fashioned pumpkins. Angie and Ava posed by the big blow up Halloween carriage. Ava wanted a ride. We were so lucky to have the heavy rains let up for the evening. The weather was perfect! Ava and her loot! Thanks Chris and Angie and Ava for sharing the evening with us. It was really fun! We finished up Jim's show last night and he had another great exposition. He is such a natural at selling and loves the interaction with his customers. Here's a few pictures I took on Friday after we got everything set up. Can you see the smile on old Jimmy's face here? He was actually talking with his buddy in Illinois about hunting! I was really good while I was at the show, but did find one thing that I just needed to bring home. It's a darling little doll bed complete with some antique linens. I think all it needs is an old doll quilt. I'll have to look through my doll quilts! Hurricane Sandy hit the East coast this afternoon. As I watch the news and special reports, it just seems so unreal. I have many friends who live on the opposite side of the country and I just can't help but pray for them all and hope they are OK. It's going to be a long night for them. My dad worked for Woolworth and we always had these little candles around our home. There's still a box of them from my childhood with my dad's things. 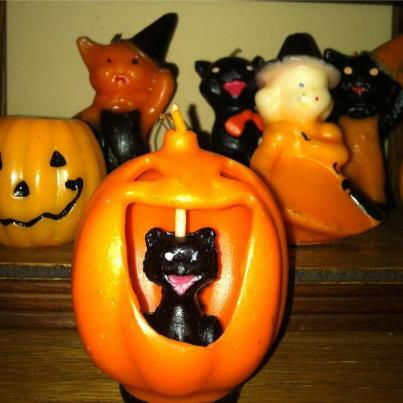 I have collected my own set over the years and was missing the cute pumpkin with the kitty inside. It is now in my collections! A gift from Chris and Angie. I adore it. Gina came over yesterday and we spent the entire day talking and just getting caught up after her wedding. We talked Chris and Angie into coming over and Jim took us all out for dinner. So fun...the only thing missing was Eric! He had to return to Seattle. I'll be heading off to the show shortly to help Jim pack up his show. He had a good showl! Another busy weekend at our house. 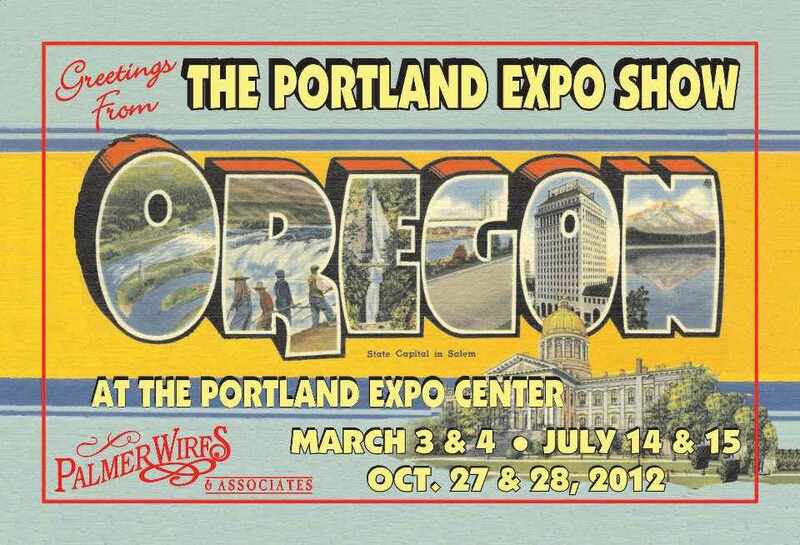 Jim has a booth again at the Expo show this weekend. I helped him set up yesterday which is a bit challenging at this show. They let buyers come in for $30 for "early bird" shopping. It gives you another day to sell, but it's hard to work around people with your boxes all over! I'm getting better at it as this is our 14th show. He did well and we met so many fun people. He's on his own today and then I'll go back on Sunday to help break down. The newlyweds came down from Seattle, so at least we got to see them for a few minutes and there was lots of hugging going on. They are so cute. We have missed them. Eric has to return home this morning, but I think Gina is staying another day, so maybe we can catch up. I'll post pix later of Jimmy's booth. So for Miss Spenser's Teacup Thursday, I'm sharing a lovely German cup and saucer that my husband just found at an estate sale for me. I didn't have a black one and was on the hunt for one. This is a very modern looking teacup, but I like it with it's gold and black clean lines. It stands up on a tapered pedestal and has a simple handle trimmed in gold. I never was able to read all my Teacup Thursday's friends blogs this past week either. Goodness. I hope to read everyone's this week. On Sunday we had my daughter Angie and her boyfriend Chris and his little 5 year old daughter Ava, over for dinner. I have some pictures to share, but I am disappointed with them. I didn't even get any pictures at dinner time either! I guess I was too hungry. We were celebrating Angie's birthday so we always use the Halloween dishes and decorations. This was the adult's place setting. I used real little pumpkins for place cards. This was Ava's place setting. Here she is dressed as a Halloween Kitty...pretty cute! Chris introduced us to some lovely Swiss Chocolates....Teuscher's from downtown Portland. Each one was beautiful and oh so yummy! He chose each one and knew what each one was! 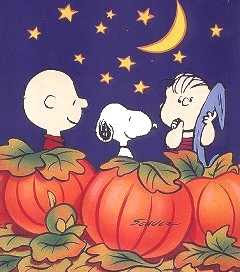 We finished off a delightful evening watching Charlie Brown's The Great Pumpkin...so fun! I am a total "dishes" addict. To me, a set of dishes for sale at a good price is like a puppy needing a good home! We were at a sale a few weeks ago and I spotted a box of dishes and thought it was a Johnson Brother's pattern. Yes indeed! I can spot Johnson Brothers a mile away. It's called Fruit Sampler and is a part of the Old Granite line. I have another pattern marked Old Granite called Lancaster. I know Lancaster was made in the 1950's so I'm thinking this one probably was too. I got the whole box for $20 and have been able to find some more pieces on Ebay. I think I'm going to order the salad plates next. I just love all the colors and everyone knows that I love brown! The cup and saucer have an apple in the center. The dinner plate has a pear which makes it fun. Don't you love the trim? 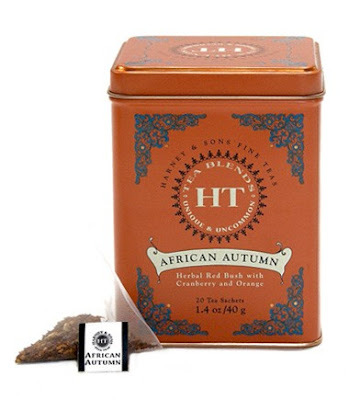 I tried a new tea tonight that I just purchased for fall. It's called African Autumn . It's made by a company that I really like-Harney & Sons. They are always introducing a new blend! This is a combo of Rooibos (which I love) with cranberry and orange. Yummy! I love that this tea comes in a colorful tin. It's fun to buy things in tins because they are great to use once the tin is empty....recycle! I love old tins that have survived over the years. This is a spice box that I have from the 1880's. The spices were saved and treasured in this box instead of a tin. It's a great decorative piece for fall too. It has individual spice containers inside. I do have some old tins in my kitchen that are perfect for fall too. Great colors and fun tins to own. "Autumn, the year's last, loveliest smile." William Cullen Bryant Enjoy these fall days! Thanks to Miss Spenser's Teacup Thursday........ Always a pleasure to participate. Sunday and Home Sweet Home! Sunday Drive to the Country! 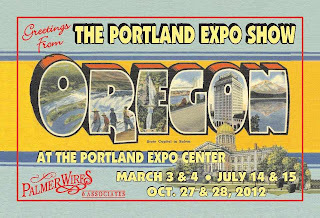 A Trip to the Miniature Show!